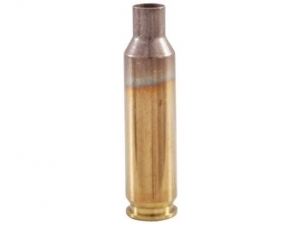 Popular Rifle Brass - America’s Best Brass - Duck Creek Sporting Goods. Duck Creek sporting Goods (DCSG) strives to find not only desirable rifle brass calibers but also find alternatives that are cost effective to the reloaders-without sacrificing quality. For the 338 Lapua Magnum look at the Prvi Partizan offered here at $1.58 per cartridge cases ($79 for a bag of 50 factory new). This is a limited time offering subject to stocks on hand, the replacement costs will be $1.98 each. This is still a bargain for quality shell cases. Hornady, which Duck Creek also sells is priced at $2.47 each and Lapua can be special ordered in bags of 100 brass cases, this brand sells at $2.90 per cases. Prvi Partizan is a quality on par with Winchester components and recently a supplier I use states that Prvi produces many rifle brass for Hornady. 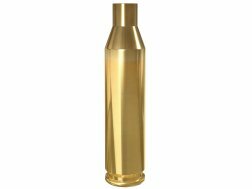 6.5 Creedmoor is now being offered by Starline, on this website you can find the large primer pocket variation $29 for bags of 50 factory new unprimed brass. That is .58 cents each. When originally introduced by Hornady in 2007 they offered the only reasonable priced cartridge cases, sold in boxes of 50 for $40, that is .80 cents per brass shell cases so Starline 25% lower in price. Both brands can be purchased on the shop pages. Starline’s small rifle primer pocket can be ordered in, they are sold at $72 per 100 cases. Lapua can be special ordered $125 per 100. Please contact me directly, that product is not listed in the “Shop Reloading Supplies” pages. 22 Remington Jet offered by Duck Creek is the Prvi brand, $18 per 50. Remington when available is $28. Since value is concern here Prvi Partizan is the main listing found here and not subject to the seasonal product runs often associated with Remington. Other calibers offered by Prvi sold here at DCSG are the 22-250 Remington, 6.5 X 55 Swedish Mauser, 7 X 57 and 8 X 57 Mausers and 300 Winchester Magnum. As mentioned earlier, the supply is generally constant, handloader can buy quality components at reasonable prices.